The Agilent 7700x ICP-MS is capable of measuring metal and non-metal elements in concentrations of parts per trillion. The sample is ionised using argon plasma and the ions are separated and quantified using a quadrupole mass spectrometer. ICP-MS provides precise data with short sampling time (roughly 30 seconds per sample). 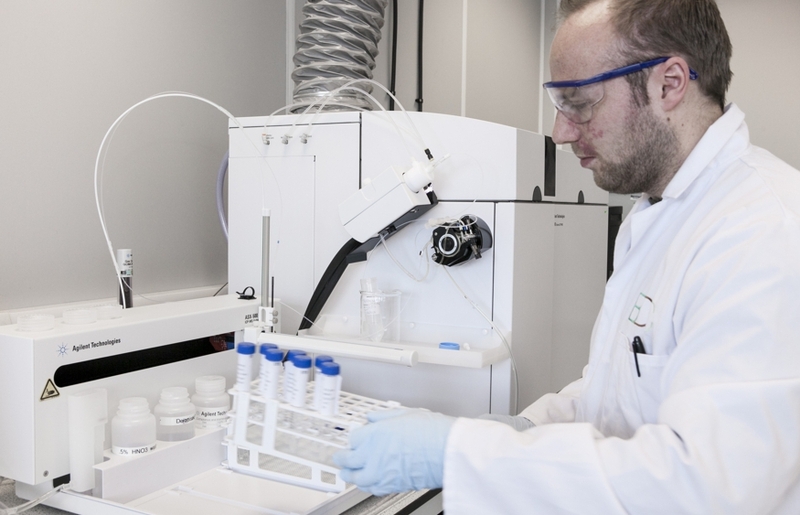 To date, the BDC has used ICP-MS to analyse a broad range of samples including plant materials, fermentation media and fertiliser to quantify heavy metals and common environmental elements. To learn more about how our ICP-MS can be put to use, speak to our ICP-MS specialist Darren.